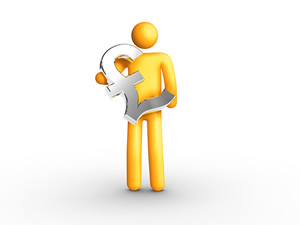 With the UK economy officially in a double-dip recession and Brits still struggling to manage basic costs, finding ways to increase our savings has become a priority. However, with such a variety of different bank accounts on offer, it can be difficult to work out which is best for you. Often, the bank account you select will depend largely on your specific circumstances. There are three main types of account, explained below; however these and their respective benefits will differ between banks. The terms and conditions, interest rates and fees will therefore need to be compared within your chosen type of account in order to get the best deal. A savings account usually refers to an account that you place money in to earn a small amount of interest. Most account providers won’t charge you for withdrawing this cash, while some may charge a small nominal fee for cash that is withdrawn early. It is a good idea to shop around for a competitive interest rate, comparing those offered by HSBC Bank and other leading banks. ISAs (Individual Savings Accounts) came into existence in 1999 as part of an initiative by the Government to encourage people to save money. They are a tax-free scheme which allows savers to invest up to £11,280 a year. Only half of this amount (£5,640) can be invested in cash with the remaining balance invested in stocks and shares. ISAs are a fantastic way of putting cash away for the future and often have a better rate of interest. Some ISAs will allow you to withdraw and transfer funds between accounts but those with the best interest rates are usually those which do not allow you to touch the money for a set period (usually a few years). A current account is the average account meant for day-to-day use. An account that makes withdrawing and depositing cash easy, a current account is perfect for everyday transactions. Many banks will provide a number of different extras that may suit your needs as a customer so it is well worth taking the time to shop around. A current account is likely to be the account you use most so make sure it suits your needs and look for accounts which offer rewards or bonuses.